What is one thing we usually all want more of and feel that we never get enough of? Answer? Sleep! Sleep: something that we often don’t think about as being an important, even crucial part of our day. We spend a lot of our lives asleep. We hope that we are getting a good night’s rest. We are crossing our fingers that we don’t wake up sore from our well used mattress. But are we really putting in enough thought to all the options around us that could benefit our sleep? Improving our sleep could directly improve our lives. So why is this an area that we skip or overlook? 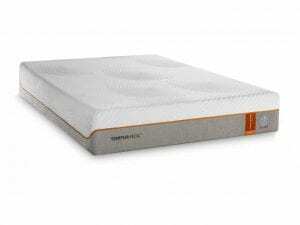 A product of ours, the Tempurpedic Ease Adjustable Base, can actually give you a better night’s sleep. It has all the features you need in a power base, for custom comfort. Here are the top 10 reasons why having this in your life will benefit you. Allowing the mattress to be adjusted both at the head and foot will give your back a surface to sleep on that supports the spine by alleviating pressure on the sciatic nerve. Positioning the base allows for you to sleep comfortably on the back, since the surface will match the body’s contouring as close as possible. Painful conditions, like sciatic that result from the nerve confined in the spine’s base, can be improved. Slanting the head by 45° relieves compression for the lower back to reduce pain. The angled head also allows for prevention of neck aches by providing a well-supportive platform replacing the need for multiple pillows. Raising the foot of the bed allows for knees to be bent slightly, and legs to be raised, to take of unneeded pressure affecting the spine. With nearly unlimited ergonomic head and foot positions and presets for customized comfort, thi adjustable bed is an essential part of a complete and seamless sleep experience. It allows you to raise the head up to 57° and feet up to 50° for perfect support while sleeping, reading, watching TV or working. Acid reflux and heartburn can be a miserable ailment. It can happen to even those not going to sleep on a full stomach. If you have had this while trying to go to sleep you know that it can be very uncomfortable and even painful making it really hard to fall asleep. When lying on a flat mattress, stomach acids move to the esophagus which leads to the uncomfortable symptoms of acid reflux and heartburn. A 6-8 inch incline of the head has been shown to keep the acid in the stomach and away from your throat. 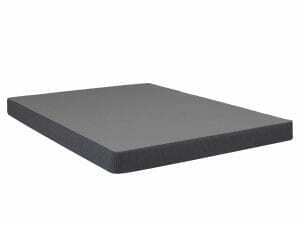 The Ease Adjustable Base not only provides comfort and a better sleep to you but allows for healthier digestion. As we sleep our body is working on digesting and processing food. Lying flat has been shown to have a deterrent on the body’s ability to process food. An adjustable bed frame can easily lift the head 6-inches, which is recommended, to accomplish the healthiest digestion experience. This will allow for a better sleep and healthier, more comfortable walking in the morning. Snoring, sleep apnea and asthma are breathing problems that occur at night. Snoring occurs when lying flat because, in this position, the neck puts extra weight on the windpipe causing it to close and to make the noise we know as snoring. When the Ease Adjustable Base lifts the head, gravity allows for the weight to be taken off of the windpipe, reducing the snoring problem. Also sleeping in a more angled position improves airflow, reducing obstructions from the nasal passages to allow for a healthier, uninterrupted sleep. Oxygen, that is restricted when lying flat, will be able to flow more freely to decrease the probability of an asthma attack. Individuals with insomnia are always looking for that magical cure to achieve a night filled with uninterrupted, blissful sleep. Whether insomnia is caused by pain, or just an anxious mind, the Ease Adjustable Base can offer numerous position choices to provide comfort for a better sleep experience. Achieving the perfect bed position for you can improve circulation of the blood and oxygen which allows you an easier, faster time falling asleep and ending your nights of tossing and turning. As your body sleeps and rests your body’s circulatory system is running and if it’s in prime condition the more quality of sleep you will have. With the aid of the adjustable bed base, you can fine-tune sleep positions to reduce pressure allowing for blood to flow to your heart and throughout your body. 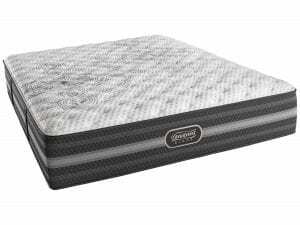 For more specific circulation issues, the adjustable bed frame allows for the mattress to be positioned to a recommended level to enhance blood and oxygen flow. Many people suffer from swollen legs. From pregnant women to those afflicted with an illness, to individuals suffering from a hurt limb. Lying flat causes fluids to build up and it increases swelling and inflammation in the areas that need to be relieved. This leads to even more pain, sleepless nights and waking up with sometimes excruciating pain. Experts tell us that legs should be raised to reduce swelling. The tempurpedic adjustable base allows for the ease of elevating legs to a comfortable position to decrease swelling and health. The raising of the legs can also help those in jobs requiring them to work on their feet a lot. Coming home, after being on your feet all day and being able to rest and raise your legs can help fight against common problems like varicose veins. Arthritis and other painful conditions can be relieved with the use of an adjustable bed frame. Stiff and aching joints can be alleviated by positioning the mattress so weight is take off of the problem areas to allow for a more comfortable rest. 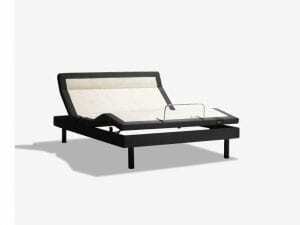 The adjustable bed can also help for assistance with morning stiffness that results from pain issues. The sleeper can raise the head and lower the feet to work as an aid to help them rise from the bed more easily. Trying to find a comfortable position utilizing stacked pillows is a tough chore. Pillows easily shift to cause aching in the back, neck, and shoulders. Our adjustable bed frame works to turn your bed into a comfortable, easy to position, recliner chair. 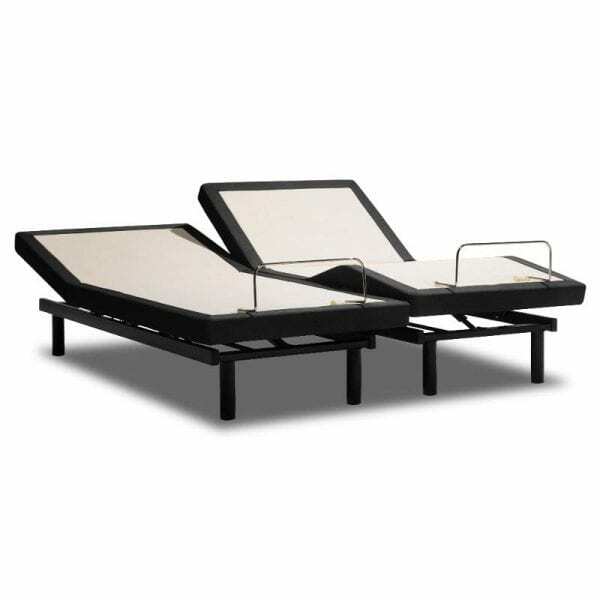 This allows for healthier positioning to promote and enhanced lifestyle while in the comfort of your own bed. Whether age, disability, an illness, or an accident has impeded your mobility, the Ease Adjustable Base is the perfect solution. It aids to assist your in helping to further your independence when it comes to being able to get into bed and out of bed without any help. Simply by raising the head of the adjustable base, this will help lift you off the mattress to help you get back into you sleep haven. The simple use-friendly wireless remote control is pre-programmed to pair with the base. There is also an easy one-button preset “return to flat” option. Whether you are suffering from heartburn or other ailments or simply want an easier way to get in and out of bed at night, our Ease Adjustable Base will help improve your quality of sleep and help your overall comfort level.